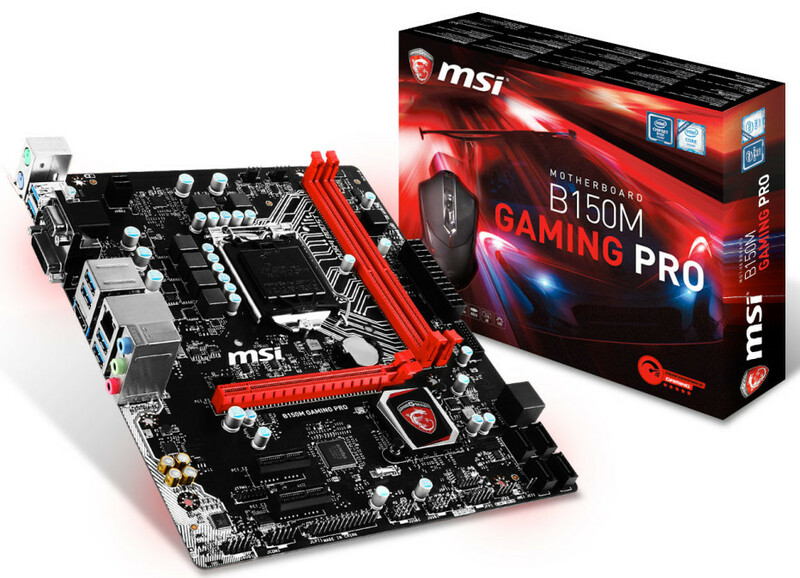 The popular Taiwanese hardware maker MSI has announced a new gaming-oriented motherboard based on the LGA 1151 socket. The board is called B150M Gaming Pro and comes with the budget-oriented but still capable Intel B150 chipset. The new motherboard sports the micro-ATX form factor so it is suitable for small PC cases too. In a few words the B150M Gaming Pro might be one of the best small-sized gaming Intel LGA 1151 motherboards that you can buy this year. The board targets gamers who do not want to spend tons of money on a gaming PC or simply prefer smaller-sized gaming PCs. The new MSI product comes with all the features you would expect from such a product – it has two DDR4 memory slots for up to 32 GB of DDR4-2133 memory, a single PCI-E 3.0 x16 video card slot and two PCI-E 3.0 x1 slots for peripheral devices and expansion cards. You can connect up to four SATA devices by using the provided four SATA ports. In the back you will also find PS/2 connectors for legacy mice and keyboards, six USB 2.0 and USB 3.0 ports, audio jacks, a LAN connector, a HDMI port, a VGA connector and more. The motherboard supports the so-called DDR4 Boost technology, which ensures the cleanest possible memory signal for maximum performance and stability, MSI Gaming LAN Manager, which improves network connections and guarantees the lowest possible lag for online games and MSI Audio Boost, which offers studio grade sound quality. The price of the motherboard is unknown but right now the MSI B150M Gaming Pro comes with the MSI DS B1 Gaming mouse as a gift.